What do you get when a gorgeous optometrist introvert says a long-awaited yes to her "Renaissance Hero," everyone says nacho sare jee padhke! a shaadi fueled with dhamal, masti and a ton of laughter.. Take this tale that was regaled when the toasting and speeches officially began later that evening at the reception. Just two short hours before the guests were to arrive, a "sipping situation" began to arise. It came to the father-of-the-groom's attention - who we feel we must now mention happens to be vice chairman of a very well-known and famous blue-canned beverage company - that Union Station, the chosen venue, having an exclusive contract with the competing, other-colored brand had stocked nothing but red products, not one blue; to which, of course, was immediately determined would not do and had to all be rushed out and moved. Mission: Replace was officially under way. So a visit to every nearby grocery store and mart was made by placing nothing but blue cans into every cart and then driven back to the chosen venue with minutes to spare, with both the bride and groom and honored guest, Pepsico's CEO and president, Indra Nooyi, blissfully unaware. And although the night was mostly filled with stories of fun like the previous one - say the groom's penchant for Freddy Krueger-loving or his Bye Bye Birdie star turn crooning - there were also the loving, and touching moments so sweet, it made everyone's heart in attendance skip an extra beat; especially when the toast or speech would turn to the way of the beautiful bride, Sheekha's, seat. Like when Abbas' brother and sister arose, took the microphone, and spoke of the elegant and seamless way in which she took her rightful place into a sometimes hard to penetrate family unit just by being loyally and lovingly authentic, and all while our intimate rendezvous moments with the family where the mother in the law also said how she fell in love with her the day she met her and knew she would one day officially add her as a daughter. And as Abbas' would smartly attest, mother(in-laws) always know best. So with a mother, father, brother and sister's approval, now all it would take is for one last member to bless the union: the groom's beyond sweet little nephew who has his lips pressed to the mic, three simple words did ignite an audible "awww" from the entire raised-glass site and room, "I love you, Sheekha Mami." Yep. Best be careful, Mr. Groom, you may have some competition from this smallest "Renaissance-man-in-training" dude. So just what do you get when a stunning introverted optometrist says yes to our handsome GQ renaissance hero ? Why, a event filled with nothing but blue cans, love, laughter and dance - and every last little kind of merriment. Credits: Venues: Ritz Carlton (Chicago), Union Station (Chicago), Khan Residence (Greenwich), Greenwich Country Club (Greenwich); Wedding Planner: Rachel De Marte (Chicago) Hana Chugtai- Mani Mela (Greenwich); Make up: Karuna Chani; Emily Oliver (Utah) Hair by Rosemary Monica (Chicago) & Nico Donielle (Utah) Couture by: Ali Xeeshan, Sabyasachi, Faraz Manan; Republic by Omar, Tom Ford; Photography & Cinematography Team: Mili Ghosh, Sid Ghosh, Damon Chamberlain; Decor: Kehoe Design (Chicago), Mani Mela (Greenwich). Have you heard the one about the precocious pool boy and the oh so stylish sophisticate? We kid, we kid. But all jokes aside, there is one thing that a photographer always cross-their-fingers not so secretly hopes that a subject (or subjects) will provide: the willingness and wherewithal to be spontaneous and to improvise. 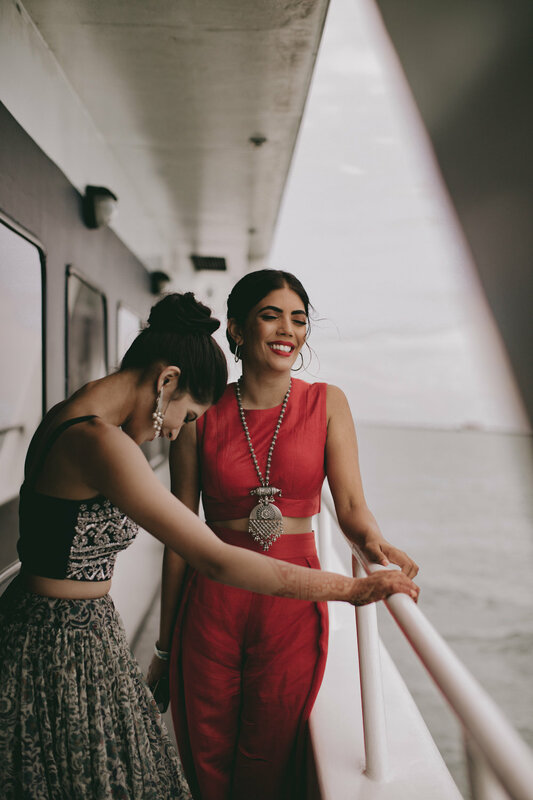 And when it came to not only the title of this blog post, but also getting these fun, creative, personality-pluslifestyle editorial images of Miss Manita and Harp, well, let's just say, they had it in spades - right from the start. Take our precocious pool boy as an example, if you will, and his spot-on improvisational skills. There was a moment in the shoot after all the planning, location scouting and conceptualizing had finally come together and underway that they were able to take a bit of a breather and break; but as any photographer will reiterate, it's in those moments that a perfect picture makes. And that is just what happened with Mister Harp when I lifted up my camera's lens to catch him leaning in and taking a drink from Manita'sheld-out straw, i.e., the perfect shot. 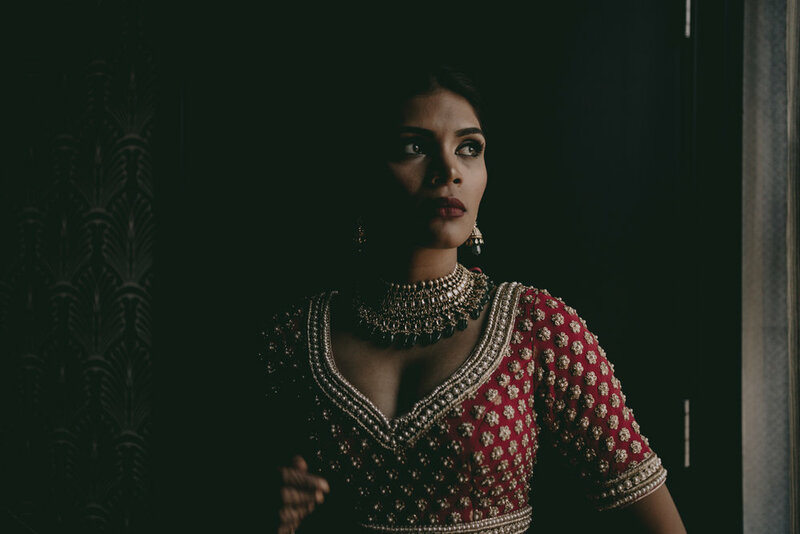 But that's not to say that there aren't other things just as important as that improvising that need to come together in complete sync, like, say, the editorial hair, makeup and wardrobe styling; and that's where Manita came right on in with her love of contemporary look and modern minimalism. Most of the wardrobe pieces actually belong to her, and a few things for which we actually shopped for together. And as the photographer, I can attest, that connection, it works wonders with not only the broadening of my own abilities artistic, but with all the backend constraints, deadlines, edits and scenario story-telling concepts; kind of like what you could call the photographer's definition and version of a runner's high. So, in the end, and all jokes aside, sometimes to get the quintessentially perfect shoot/shot and maybe to also obtain the elusive photographer's high, the stars, they just have to align; you know, much like they did with our oh so stylish sophisticate's straw and our precocious pool boy's lips. We kid, we kid. 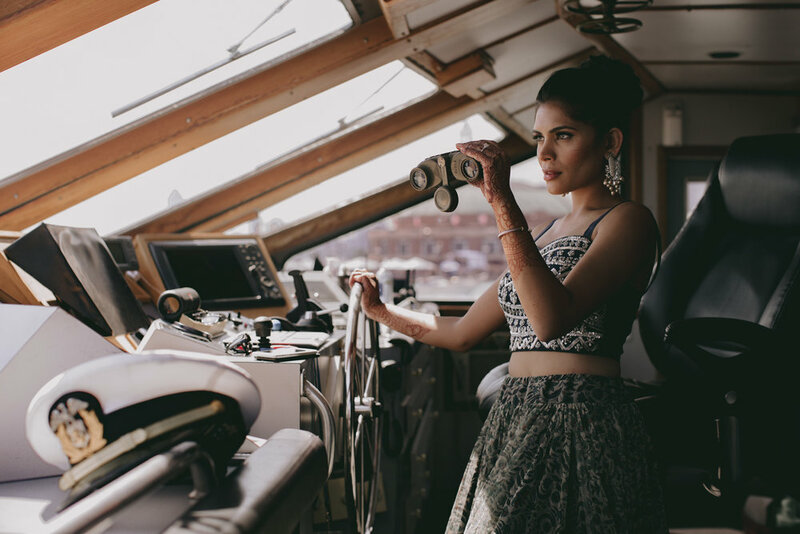 Styling: Mili Ghosh & Manita Gill Photography: Mili & Sid Ghosh Location: Viceroy Hotel, Santa Monica, Venice Beach & Canals, Villa De Lion, Pacific Palisades. Make up & Hair: Susmita PatelWardrobe & Accessories: Alice Olivia Floral Skirt, Anita Dongre, Manish Malhotra, Clover Canyon, Oliver People, Kitson, Nudies. The Look: Clover Canyon Floral Matching Sets, Louboutin, Oliver Peoples, Kitson Panther Tee, Dark Eclipse from Nudies, Horsebit Loafer by Gucci. 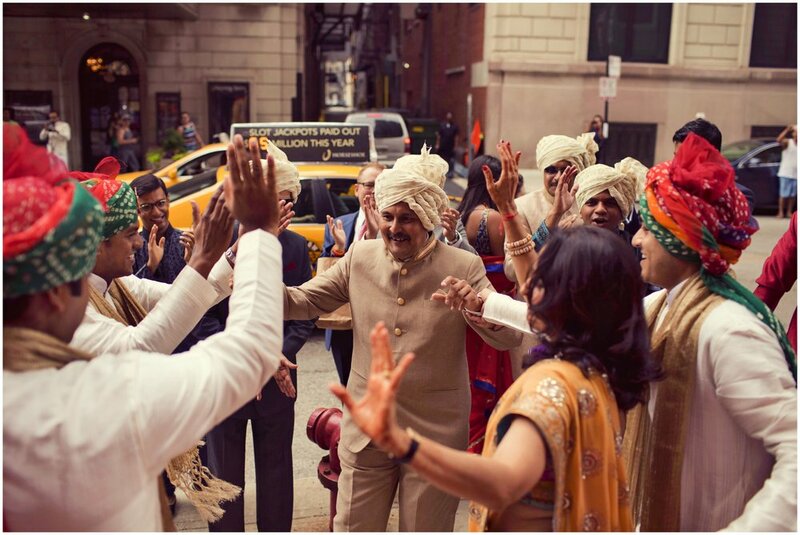 At Ridhima (Punjabi)and Atul's (Maharashtrian) wedding, two families from two different regions of India came together. 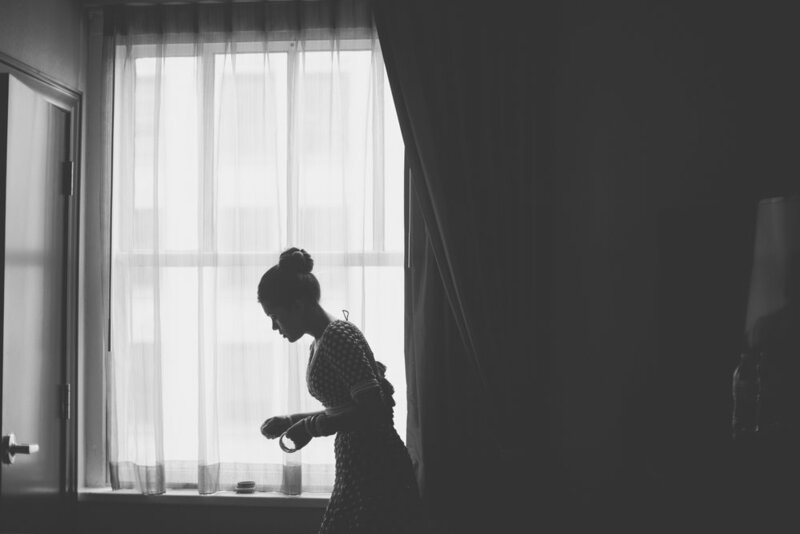 I was itching to photograph the wedding and see it unfold as the day progressed. Diversity in rituals, food, language, clothes etc have always piqued my interest. Not to mention, flying back to Chicago is always an incentive for me to catch up with friends. The day started early, with Ridhima getting ready, at the Intercontinental followed by a not so short drive to the wedding venue. The wedding ceremony was held at the Chicago Botanical Gardens. Nisar Naimi from Shaadi Creations' worked his magic wand to set up a serene ambiance by the lake. The lush green backdrops at the botanical garden gave us the opportunity to capture some glamorous portraits. The reception was held at the Intercontinental later in the evening. 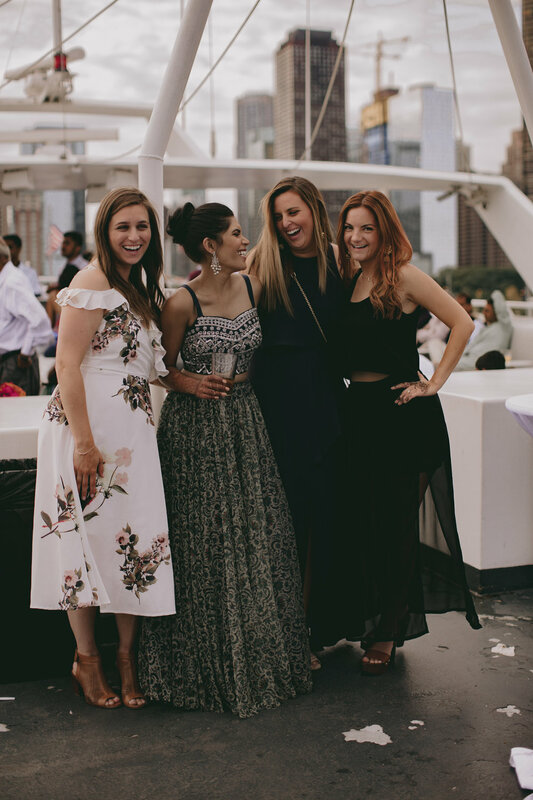 Two families, two states, one love - the reception saw a roller coaster of emotions with plentiful of tears and hearty laughs alike. This was one of the very few times where I did an e-session the day after the wedding. Atul rented a boat for us to shoot on. 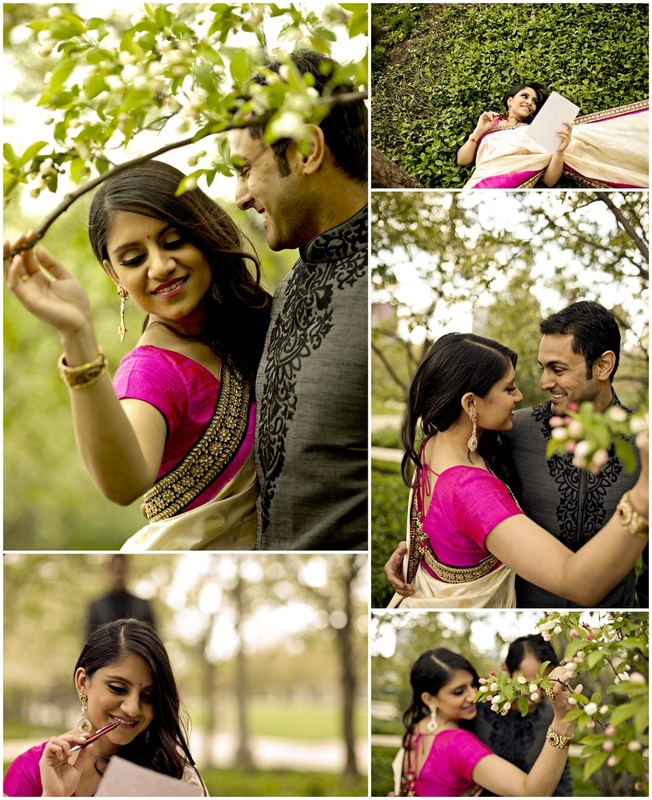 A fun few hours on lake michigan, on a sunny monday afternoon, while I clicked Ridhima and Atul - both looked stunning. A big thanks to Drish for being the planner extraordinaire and Mehwish for her amazing make up. It was great to finally work with Nathan from Delack Media. 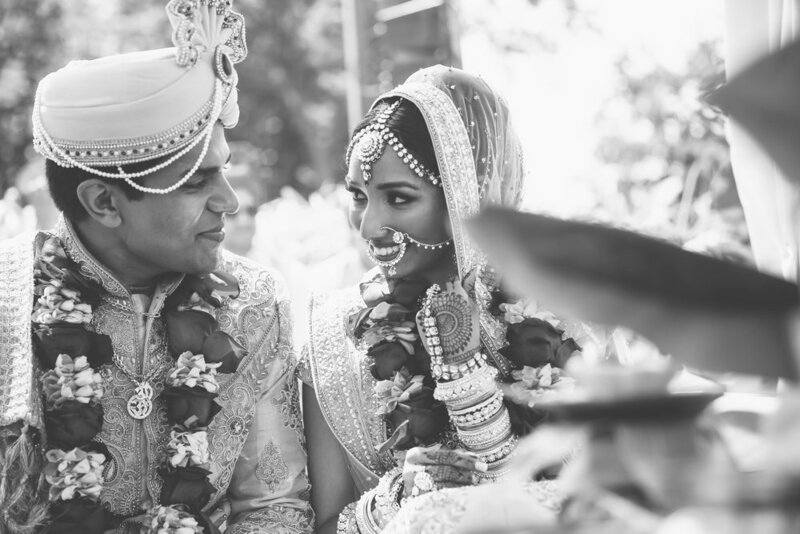 A few weeks back I posted the stunning images from Karishma & Satpreet's wedding. Now its time for the wedding film trailer. I feel the same way - it was one big party that spanned mutliple days. 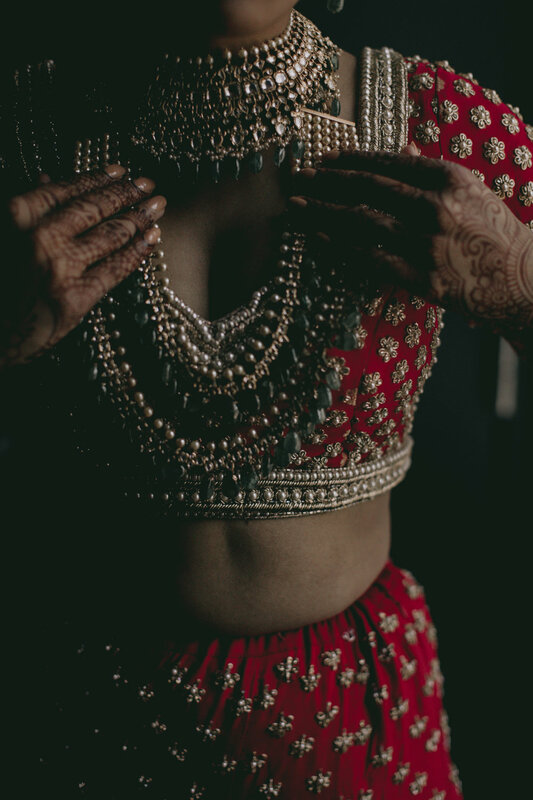 The wedding events planned by my favorite - Rimjhim Bhagchandani (www.rimjhimevents.com) - and were coordinated to perfection with every little detail thought of and executed. 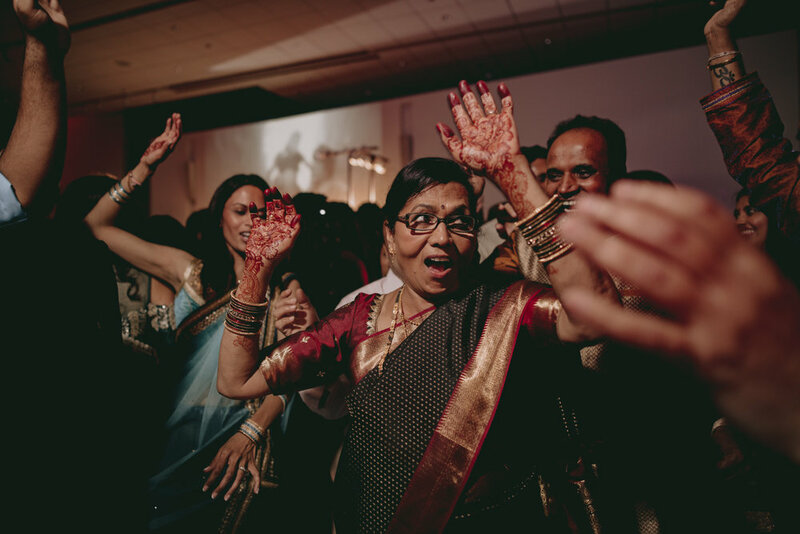 The festivities started with a very intimate yet vibrant Mehndi at Karishma's villa - close friends and family mingled and danced into the wee hours. The second event was the masquerade sangeet at the Majlis Al Mina in Mina A'Salam hotel. A huge masquerade backdrop with ethnic decor set the stage for performances by friends and family followed by a dance floor oozing energy and fun. Again, Rimjhim aunty perfected the ambiance. 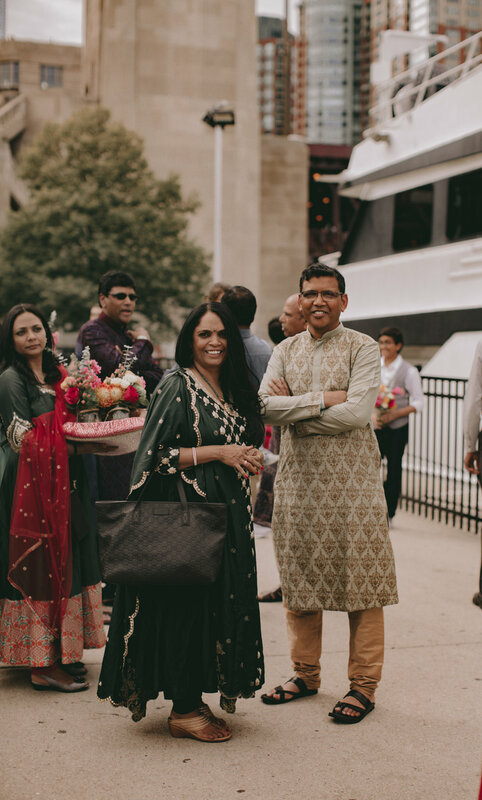 The wedding started off with Satpreet's baraat at the Magnolia Al Qasr with Karishma arriving in a traditional abra from her room to the mandap. PThe reception was held the day after at the grand Johara ballroom and had a Gatsby theme. Vintage typewriter for guests to type in their wishes to the newly wed, a huge Gatsby backdrop for photobooth, and a stage elegantly displaying Karishma and Satpreet's logo. DJ Sash kept the guests dancing to some groovy numbers and remix songs. After four days of hectic fun, I am not sure where Karishma and Satpreet found the energy to meet us at the Bab Al Sham's resort for a twilight photoshoot in the dunes. A huge hug to Aziz, Serge and Gaston for coming out and traveling 1000s of miles to shoot with us. It was always a pleasure to work with them. Cant thank Preeti, Rajesh and Karan for their hospitality. 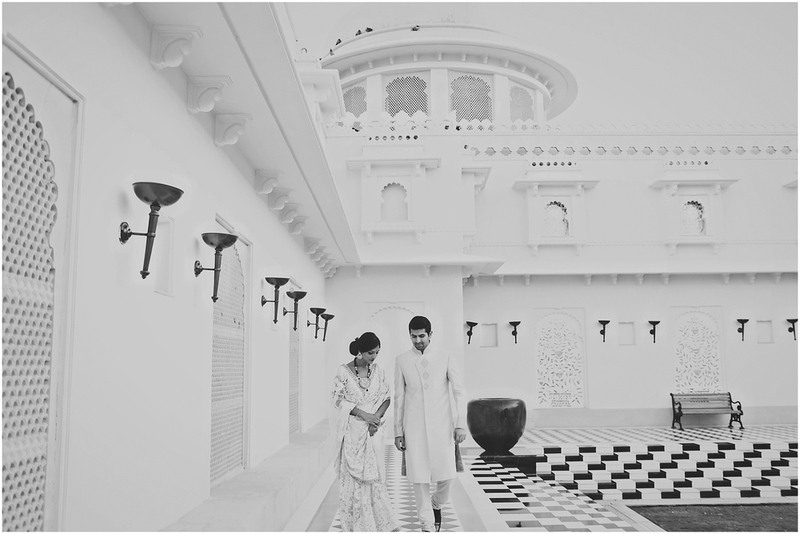 Last but not the least - a big hug to Karishma and Satpreet for keep up with me and be up for a post wedding shoot. Enjoy! 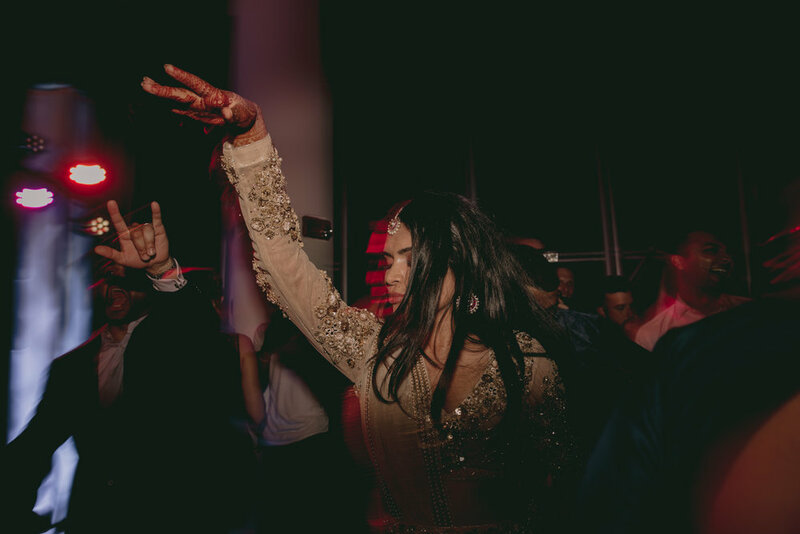 Neha and Ravi's glitzy engagement at the Armani Hotel in Burj Khalifa was a testiment to their impeccable taste in picking the location and making friends, family and guests experience the glamour of Armani Hotel and the groove of Hari & Sukhmani. I met Neha and Ravi a couple of weeks before their engagement while I was in Dubai shooting Karishma and Satpreet's wedding at the Medinat Jumeirah. I could feel an instant connection to Neha and Ravi and we had a creative connection right away. Their outfits from Shantanu & Nikhil were stunning and that had me all dreamy of the images that we would get from the event. Unfortunately. I could not make it back to Dubai for the shoot. Sid and Aziz traveled to Dubai for a couple of days to shoot the event and they had an amazing time with Neha and Ravi's family, friends and guests. A rather chilly january evening outdoor event had a rather balmy dance floor with friends, family and guests tapping to the peppy tunes Hari and Sukhmani performed. I cant thank Rimjhim aunty ( Rimjhim Events ) enough for putting together a fabulous setting for the event with a drop down cake at the altar. The minimalist decor complemented the rich backdrop of downtown Dubai. Her attention to details is extremely inspiring - the day started out pleasant but as the evening progressed, the temperature dropped rather suddenly and Rimjhim aunty had pashmina shawls, neatly folded in a basket, for guests who were not able to dance the chil away. As the evening progressed, guests could not help but get swayed, into the dance floor, by the peppy tunes Hari and Sukhmani performed. Sid and I are looking forward to the wedding in Phuket later this year. It should be 4 days of non stop fun and action. Already gearing up for the epic pool party before the reception! Non stop action and fun is what this wedding was. I can't recall a single moment where I had to go look for content to film. Amazingly fun couple and their friends gave us plenty to film for 4 days. Rain or shine, we were on the go. A big hug and thanks to Drish, Mitul and their families for being such gracious hosts and being so camera friendly. From the fun by the pool to the delicate moments with Drish's mother, there was a wide range of emotion on my platter at the editing table. I had a constant flow of smile and tears throughout the days I sat on the table and wove the trailer together frame by frame. It rained everyday in San Juan and at the most vulnerable moments ( wedding ceremony, Sangeet and reception ). I had no choice but to name the trailer - "The Monsoon Wedding". Numerous trips to old San Juan, riding the commuter train, and the fort while fighting the wind, rain and in the end a big fiasco with flying a kite, made the entire shoot memorable and full of goofy moments. I would like to thank Drish and Mitul for having us be part of their big day! Hope the true essence of the wedding comes out in the trailer! A sneak into a wedding celebration that Vegas will remember for quite some time to come. 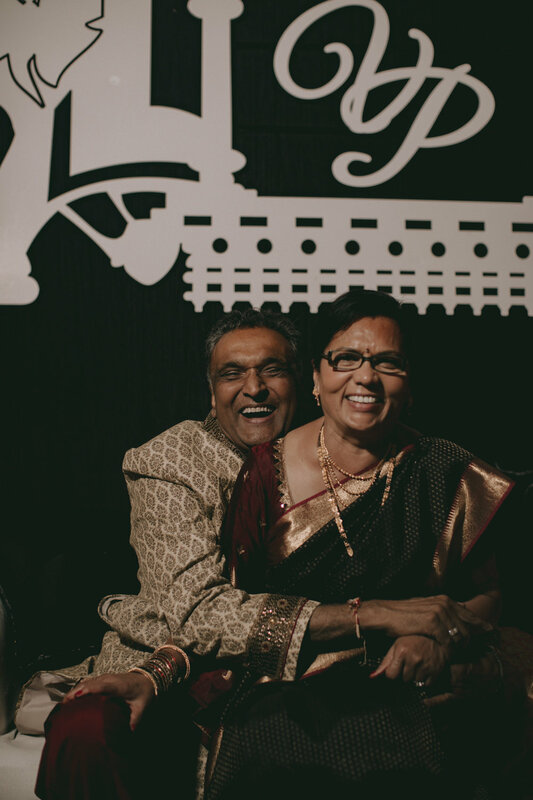 The festivities for Pankaj and Avnie’s wedding started a week prior to the wedding in Vegas. 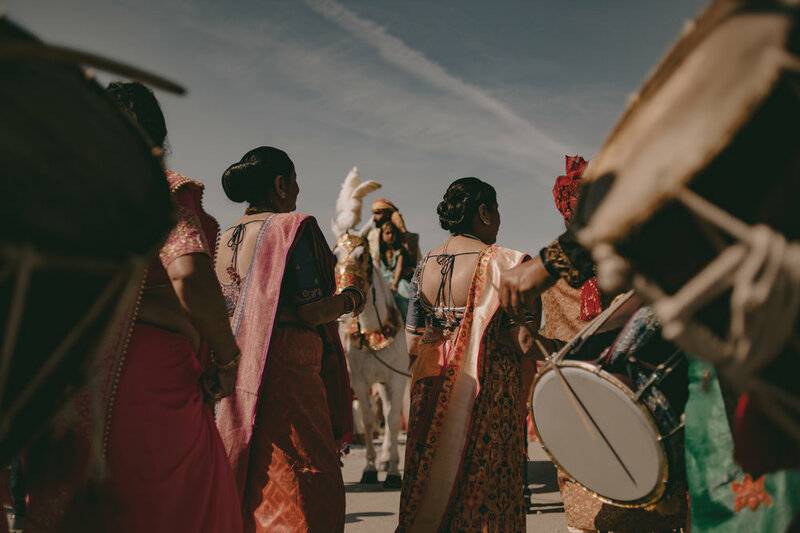 Baraat arriving on a charter flight from Houston, an open air sangeet, overlooking the Vegas strip, at the Cosmopolitan and finally the wedding at the grand terrace in Bellagio followed by a Gatsby themed reception encompassed a wedding extraordinaire. I had such a hard time compiling a sneak peek. With so many images not making the cut, I am really excited to start putting together the full blog posts. This is just a teaser of whats to come – A mile high crazy baraat, groom on an elephant, a cake taller than me (it does not take much for things to be taller than me but still ), grandeur of the Bellagio backdrop for the ceremony and a chic Gatsby themed reception. The entire weekend was full of moments – Pankaj in the 737 cockpit, Pankaj and Avnie’s groovy performance at the sangeet to old school bollywood songs, pankaj’s friends carrying him after the peethi (wont spoil the surprise of what happened after ), aerial shots of the baraat and the wedding ceremony, heartfelt speeches by family and friends and guests blessing the dance floor with groovy moves till the wee hours – a blockbuster wedding and it will take multiple blog posts to do full justice to the wedding. Congratulations to Pankaj and Avnie. I want to express my heartfelt thanks to Aziz Khan and Kristen Marie Parker the hidden gem of photographers for braving the long hours with Sid and I and helping us create some stunning imagery. A huge big shout out to Tory Cooper for coordinating the most spectacular wedding. Last and certainly not least my cousin Raj for introducing us to this wonderful family. Full wedding post and vendor credits coming soon on the blog. 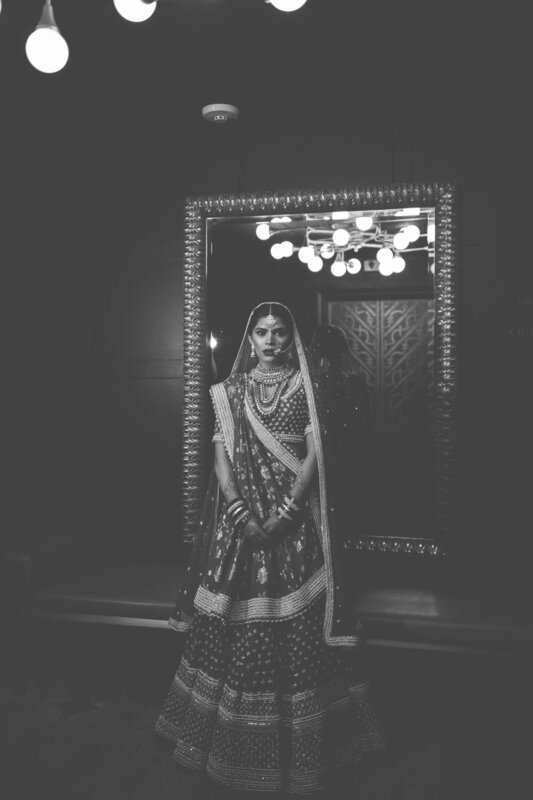 Imagine a bride wearing a Sabyasachi lehnga and groom dressed in a exquisite tuxedo – both madly in love with each other. Now imagine this combined with their amazing chemistry, fun attitude and willingness to battle a cold May evening to get photographed in their reception outfits two months before the actual wedding – this is every photographer’s creative dream – and Sid and I had the privilege to shoot with such a couple - Charu and Aditya. Photographing them feels so effortless. Kudos to them for understanding how important it is to be able to shoot portraits before the wedding. The shoot started on a cold May evening in my patio on the 28th floor and then to the theatre district and finally wrapped up in Grant park. 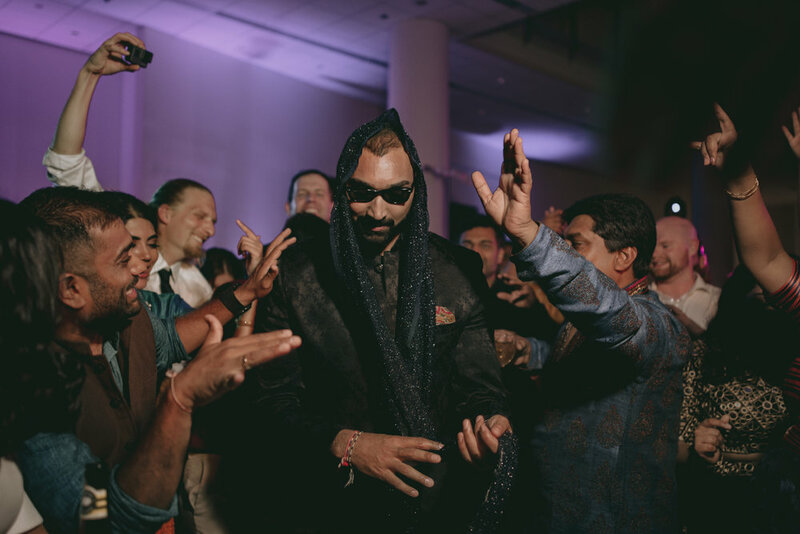 Fast forward to July 6th – after Charu and Aditya made a grand and fun entrance into the ballroom at the Hilton, the reception highlight was Aditya teaming up with his acapella group (chai town) mates and singing a tribute to Charu – a very honest and true to heart performance. Later in the evening, the guests grooved to some peppy mixes by the DJ and had a blast on the dance floor. The night ended with me walking a block to my apartment – this was the best part! I have never had the luxury of walking over from my apartment to shoot a wedding. 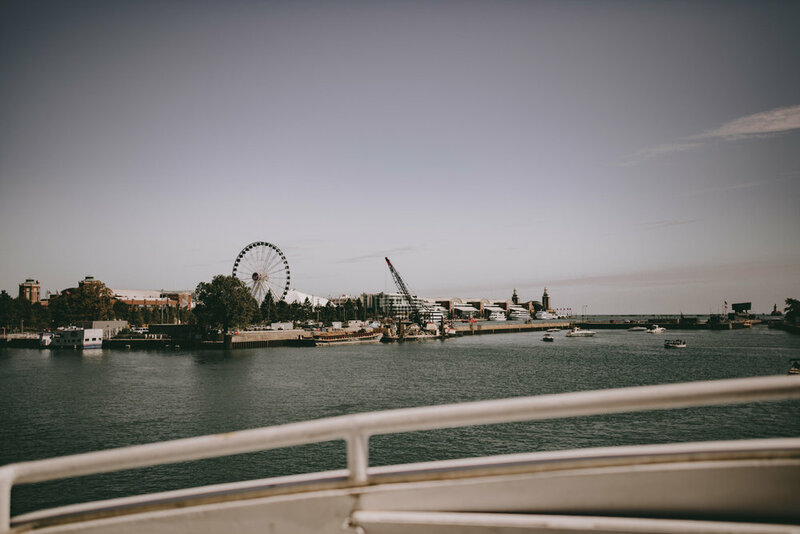 This wedding will always have a special place in my heart – this was the last wedding I shot in Chicago while living there. I am back for a lot more in 2014! Last but not the least, once again a big shout out to Sabrina Hans – a coordinator par excellence. Karthika - a friend..a sister - helped with the shoot as well. 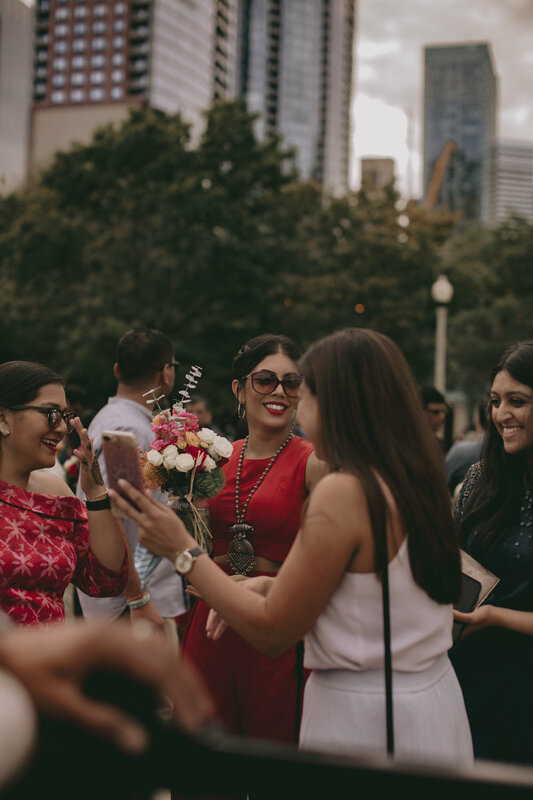 From the moment I saw the video of Aditya's proposal to Charu, I knew they are special and it would be so much working with them to capture their memories. A mild summer day in Chicago, July 4th weekend crowd on the streets, a crazy baraat on michigan avenue and an amazing performance, at the reception, by Aditya dedicated to Charu made for a fabulous wedding. Not to mention this was the first wedding venue that I actually could just walk over to from my apartment. The day started with solemn moments between friends and family followed by a wonderful ceremony in the Grand Ballroom at the Hilton. The second half of the day was a complete reverse - an epic blockbuster party at the reception - fun speeches, Aditya singing for Charu and the groove on the dance floor. A big hug to Charu and Aditya for being such a wonderful couple (basically being our puppets..:-)). It was a privilege working with Sabrina Hans and her team. 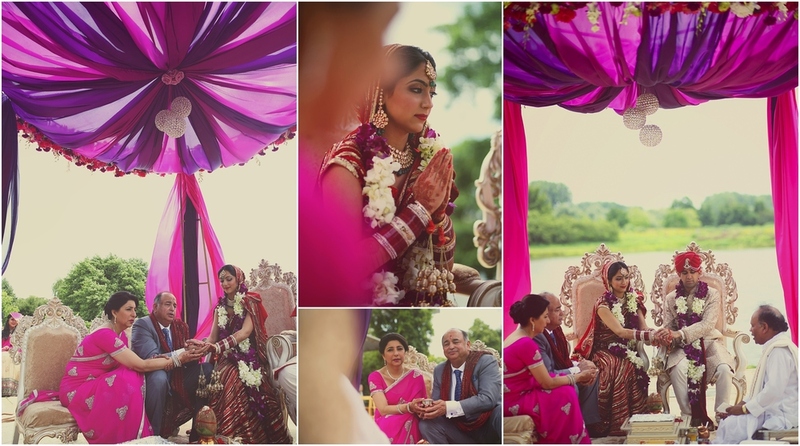 And as always - it was a pleasure working with Min and Shilpa from Dream Occasions. A huge hug to a very dear friend, Karthika, for helping with the shoot. Wishing everyone a very happy 4th of July. 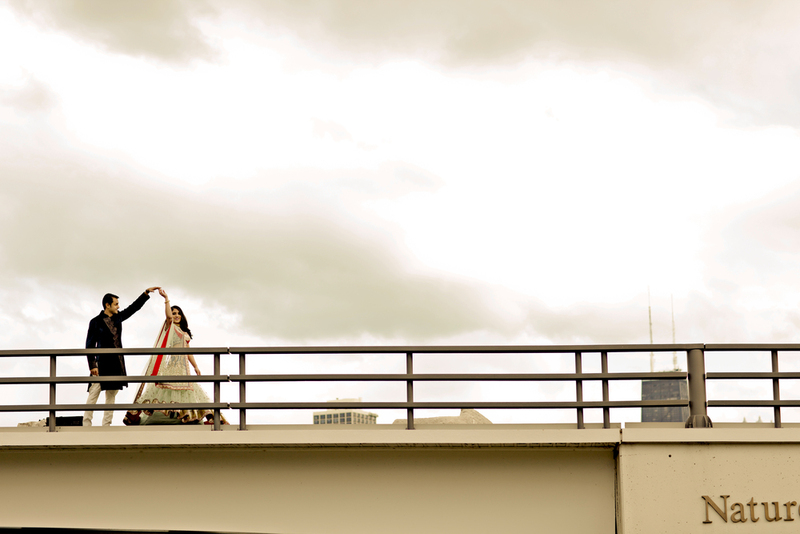 I spent the day prepping for Charu and Aditya's wedding, on saturday- July 6th, at the Hilton on Michigan Avenue. I have been looking forward to this wedding for a while now. We did their engagement session on a surprisingly windy and chilly weekend in May. We went around the city and it was so much fun to capture the amazing chemistry between the couple. 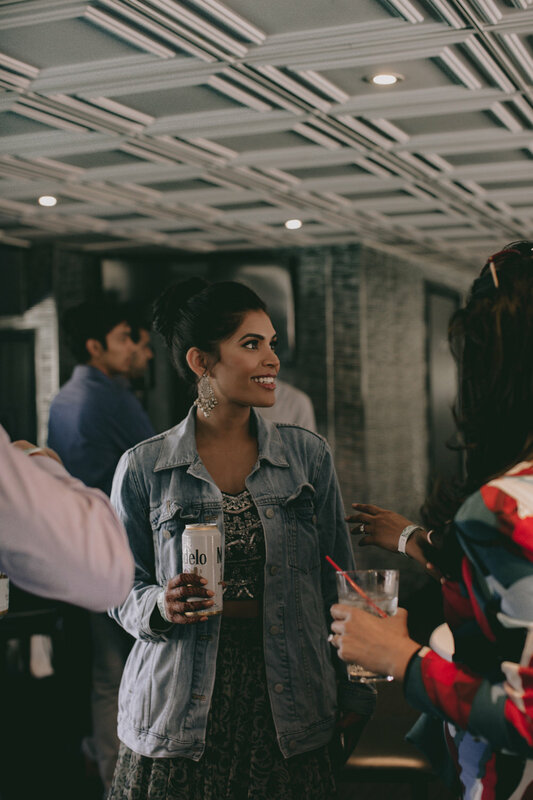 Here are a few sneak peek moments from that day. More to follow within a day or so.